The Arctic’s stark and treeless tundra regions of Alaska, Canada, Greenland, Iceland, Scandinavia, Finland and Russia support a magnificent array of cold-adapted and migratory species, including globally significant populations of polar bears, caribou, shorebirds, geese and other vulnerable species. With the Conservation of Arctic Flora and Fauna’s 2013 release of the first “Arctic Biodiversity Assessment,” eyes of scientists and policymakers are turning north, hearing the report's call to sustain Arctic species and their habitats before it's too late. 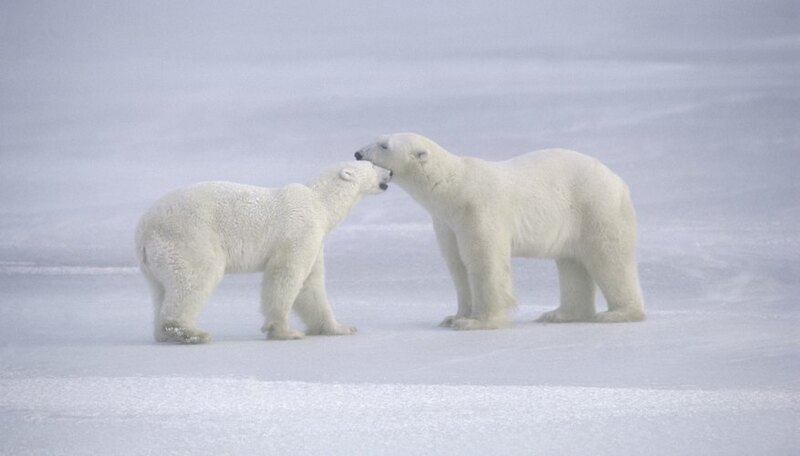 Roughly 67 mammal species occupy Arctic lands during all or part of the year. Of these, none are endangered at a global scale, but a number of species are classified as endangered at a regional scale. The gray wolf, wolverine and Arctic fox are all endangered in mainland Norway, Finland and Sweden. The Arctic fox, a species restricted almost entirely to the Arctic, has maintained healthy populations in some areas, but is now considered the most endangered mammal in Europe, with less than 200 individuals at the close of 2012. Competition with expanding populations of its larger cousin, the red fox, appears to be a significant factor in European declines. Likewise, brown bears are endangered in parts of mainland Norway. The Pribilof Island shrew, a small mammal measuring less than 3 inches long, is found only on the tiny Alaskan island of Saint Paul where it feeds on slugs, centipedes, beetles and other invertebrates. It's classified as endangered because of limited distribution and potential threats to its habitat; however, the species is not listed under the U.S. Endangered Species Act. In Canada’s Arctic islands, the Peary caribou – a smaller and lighter subspecies of caribou – was listed as endangered under the country’s federal Species at Risk Act in 2011 following catastrophic, starvation-related die-offs, which reduced the herd by over 70 percent. Approximately 200 species of birds – representing 2 percent of global avian diversity – spend at least a portion of the year in the Arctic. Many of these birds travel great distances to winter in warmer regions across the globe, and can be adversely affected by threats at both ends of their migration routes, as well as stops in between. Waterfowl species – one of the dominant Arctic groups – include the endangered red-breasted goose and velvet scoter. Scientists do not fully understand the reasons for rapid population declines in both species, prompting IUCN and BirdLife International to list both as endangered. Populations of the critically endangered spoon-billed sandpiper, numbering less than 1,000 individuals, only breed in limited areas of the Russian far east. Without urgent action to reduce threats, including habitat loss, hunting and climate change, the species faces imminent extinction. Another shorebird, the Eskimo curlew, remains listed as critically endangered; however, sightings of the bird have not been confirmed since 1963, leading many to believe the species is now extinct. Siberian cranes -- also classified as critically endangered by IUCN and BirdLife International – once numbered in the tens of thousands, but by the mid-20th century had fallen to just a few thousand as a result of habitat loss, notably from development of water diversion dams in the species’ primary wintering and staging areas in East and South Asia. Arctic and Subarctic freshwater systems support approximately 127 species of fish, 41 of which are diadromous -- fishes that migrate between fresh and marine waters. Of the Arctic’s freshwater and diadromous fishes, the European eel and European sturgeon are both critically endangered throughout their range. At a regional scale, the humpback whitefish and Arctic char are both critically endangered in the Yukon Territory, due in large part to their restricted ranges in this area. The IUCN also recognizes two endangered Russian species: the Esei Lake char and the Siberian sturgeon. Several thousand species of invertebrates are known to inhabit Arctic freshwater and terrestrial systems. Many more are likely to be discovered in coming years. As these often tiny species are less charismatic than their back-boned cousins, invertebrates historically have received little conservation attention. According to the Zoological Society of London's 2012 report entitled “Spineless: Status and Trends of the World’s Invertebrates," the conservation status of less than 1 percent of described invertebrates is known. So while none of the Arctic’s terrestrial and freshwater invertebrates were classified as endangered in the IUCN's 2014 assessment, this may change as scientists continue to evaluate the extinction risk for the world's spineless inhabitants. Cozzens, Barbara. "Arctic Tundra Endangered Animals." Sciencing, https://sciencing.com/arctic-tundra-endangered-animals-5161879.html. 24 April 2017.